Commonly known as Blue Fescue, Festuca Glauca is originally from South Africa, and is a widely used landscaping grass. This is a tufted grass that prefers dryish conditions. It is available from wholesale growers in tube stock, 14 cm pots and some advanced sizes. 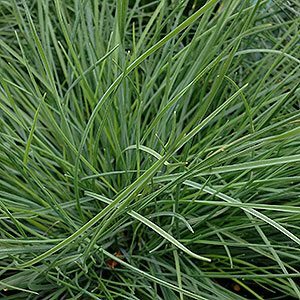 Naturally a clump forming grass, that is a favourite with landscapers, the blue grey foliage is attractive, and once established Festuca Glauca is relatively drought tolerant. Grown for the fine blue foliage, flowers are not the main feature however are a pale yellow in summer. Plants will generally reach a height of around 30cm, and a recommended planting distance or spacing for mass planting is also around 30cm. Use as an edging plant on the garden, or for mass planting in broader landscaping projects. Also useful for underplanting in container grown plants. This is a fast growing grass that thrives in full sun to part shade. It will tolerate most soil conditions although does not like to be water logged. Drought tolerant and frost hardy Festuca glauca can be pruned in late summer after flowering to tidy up old foliage and spent flower heads. Extra water may be required in very dry periods. Pruning – Cutting the plant back in winter, will promote fresh new growth and generally tidy up. Festuca glauca ‘Eliija Blue’ is a cultivar that seems to be a little more compact than the species.